Procrastination is a funny thing, but not something that is typically described as being “ha ha” funny. It’s definitely not funny for associations that deal with members that procrastinate renewing their memberships. 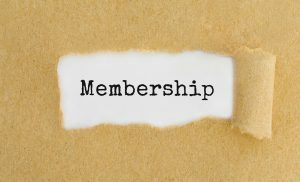 The biggest question for associations is why is there an issue with procrastination for their membership renewals, and why using telemarketing services for membership renewals is the best way to combat this issue. Below are some of the top reasons that members procrastinate with their membership renewals. This entry was posted in Articles and tagged Associations, Industries on April 24, 2018 by . Cell phones. These magical handheld computers have come a long way since the days of vehicle bag phones. We’re now a mobile society with over 90% of Americans now owning a cell phone. It boggles my mind that more businesses are not utilizing texting in their call center. The primary opportunity is to text enable your company’s main business number, your customer service phone number, and your customer service and sales team’s DIDs. This entry was posted in Articles and tagged Appointment Setting, Associations, Industries, Telemarketing Services on April 18, 2018 by . For over 10 years I have been part of the Quality Contact Solutions team and frequently one of the longest conversations I have with people outside of our organization is how our business model works. People generally understand what contact center vendors are and what outsourced telemarketing is. If they know those things they also understand the role of brokers in the telemarketing services and call center industry work as well. It’s hard for people to understand that there is something else that isn’t necessarily in the middle of those two but does lie somewhere in between. Managed Outsourced Telemarketing: What is it? This entry was posted in Articles and tagged B2C Outsourced Call Centers, Contact Management Services, Industries, Outsourced Telemarketing, Telemarketing Services on March 15, 2018 by . Conducting B2B telemarketing services in the Healthcare industry is challenging. 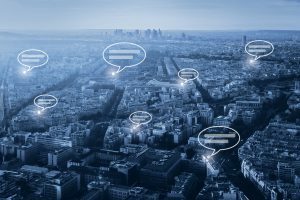 The primary reason is that in this niche industry, communicating with the primary decision-maker can be a multiple phone call process. In addition, the gatekeepers and staff within a healthcare provider’s office do not have patience to spend time on the phone with callers that they label as telemarketers. For these reasons, it is critical that you follow 3 basic principles when calling healthcare providers. 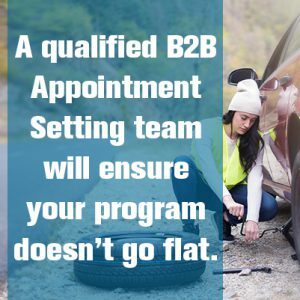 In addition, if you decide to use a third-party organization to place the calls for you, it is critical to ensure that your selected partner is experienced with outsourcing sales calls in the healthcare vertical. Fact: Gatekeepers reign supreme in the healthcare provider’s office. Our Best Practice: B2B telemarketing services professionals work with the gatekeeper, not against them. Although receptionists and other gatekeepers can be an obstacle to overcome with most B2B Telemarketing Services programs, the healthcare market is particularly challenging from that perspective. It’s not as simple as asking for a decision maker. In a lot of instances the decision maker is a Doctor, or nurse, or supporting care staff whose time is best spent helping patients. With that said, gatekeepers in the Medical Industry are experts at screening out unnecessary sales calls. Expierience has shown that less is more with the Gatekeeper, and when conducting sales calls it is paramount. Differentiating yourself from other B2B Telemarketing services will inevitably be the difference between success and lack luster results. Fact: In the healthcare industry vertical, there are many specialties with different needs. Our Best Practice: B2B telemarketing services professionals use a discovery approach. 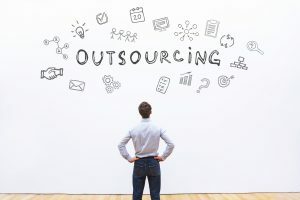 While in most markets it’s safe to make some basic assumptions of what your outsourcing sales calls offer will be, the healthcare market is unique in the fact that that each customer you reach will have their own specific challenges and struggles. The trick here is not to be an expert in the individual organizations themselves, but rather an expert in what you have to help them. Get your customer or prospect engaged in the conversation through meaningful open-ended discovery questions. Mind you, there’s nothing worse than getting “interrogated” with question after question with no objective in sight. However, asking the right questions to get your customer engaged in your conversation can mean the difference between a “pocket pitch” that you throw out in hopes that something will stick, and a solid offer of a solution to help overcome your customers challenges. Fact: The healthcare industry is in a constant state of change. Our Best Practice: B2B telemarketing service professionals evaluate offers, call guides and market opportunities constantly. Be Flexible and ready to adapt! The Healthcare Market is an industry of never ending change. From legislation, to advances in medical technologies, to changes in rules/regulations and guidelines, the only thing that remains consistent is the fact that change is inevitable. What’s working today, may not work as effectively tomorrow so it’s crucial to keep a firm pulse on your call flow and offer and be ready and able to make quick adjustments and act with intelligent urgency. 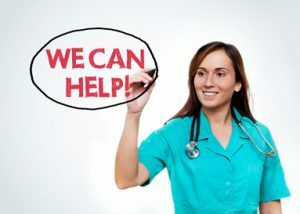 While such frequent changes are a challenge when conducting B2B Telemarketing Services in the Medical field, this creates opportunity to bring new solutions and products to the table, and timely adaptation is the lifeline to long-term success. At the end of the day, knowing your market is a fundamental unspoken necessity in any B2B Telemarketing services program. Most professionals in the medical field dedicate their lives to helping others. Differentiate yourself from all the other telemarketing sales calls they receive and return the favor. Ryan Apodac is an Operations Manager and Trainer for Quality Contact Solutions, a leading outsourced telemarketing organization. With a background of more than a decade in sales, Ryan is passionate about developing and delivering training that ultimately results in improved performance for client programs. Ryan can be reached at [email protected] or 516-656-5127. This entry was posted in Articles and tagged B2B Outbound Marketing, B2B Telemarketing, B2B Telemarketing Sales, Healthcare, Industries, Telemarketing Services on March 7, 2018 by .